Restoring unity among all Christians was one of the key objectives of the Second Vatican Council. The only Ecumenical chapel of Hungary maintained by a foundation instead of the Church was opened in 2003. 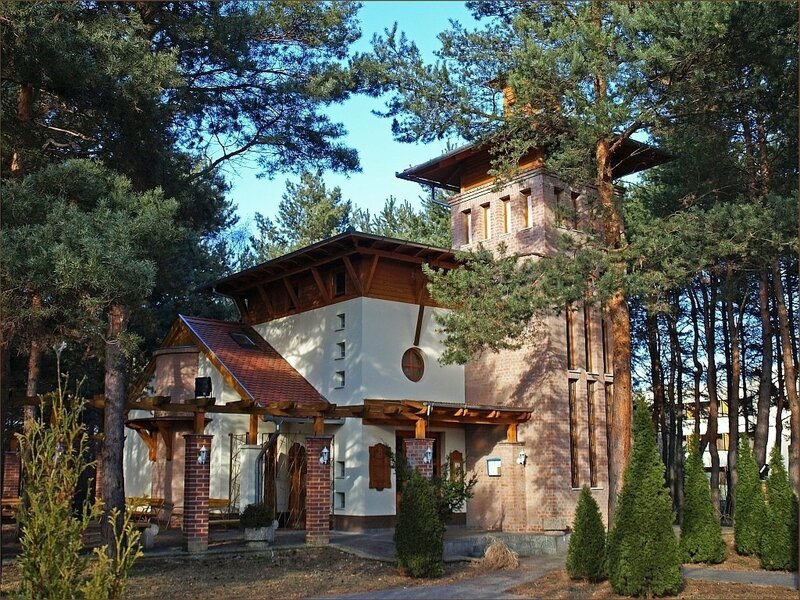 For the chapel in Bükfürdő, we are indebted to the American repatriate Jezierski Lászlóné, founder of the Foundation for the Ecumenical Chapel. The main objective of the foundation is the build and maintain the Ecumenical Chapel. The building was constructed according to plans of Gáspár Péter while the windows are works of art by Dancs Zsanett. A fresco "Christ Healing a Cripple" by Csonka Ernő decorates the internal walls of the chapel.